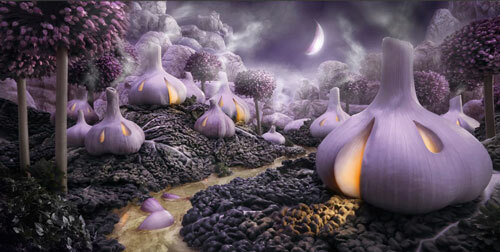 One year ago, We once introduced Carl Warner’s fairyland made by vegetable. 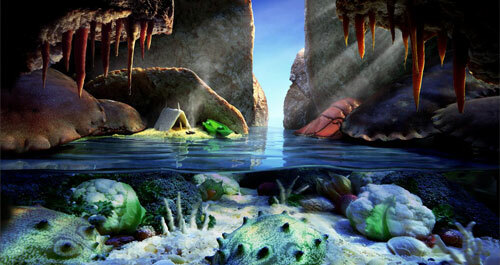 And today, we will present you his new scape works. 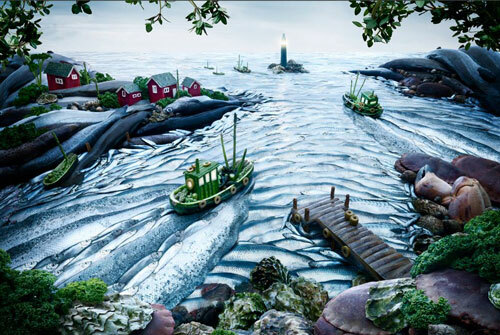 Except those amazing foodscapes (fishscape, sugarscape, breadscape, cheesescape…), you can also see scape made by clothing, kitchenware, and shoes…It is truly impressive to see those scape work and can see more of than on Carl’s website. 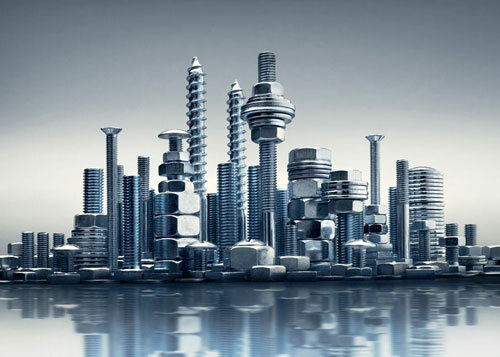 foodscape of london skyline. some of london’s memorable sights, all constructed entirely of fruit & vegetables. in the foreground the river Thames. 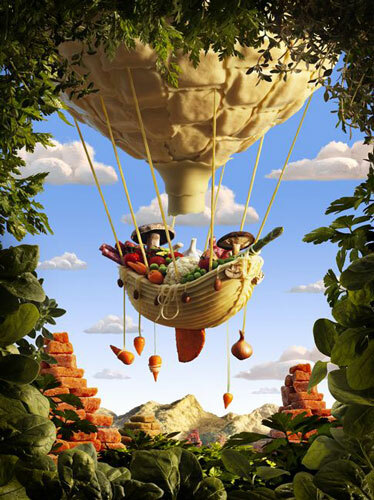 the balloon and gondola are made of ravioli and pasta with cheese mountains and mozzarella clouds. 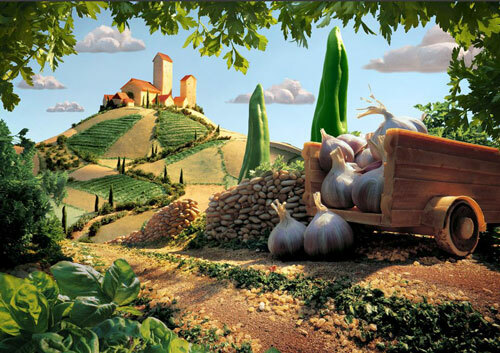 garlicshire is Carl’s offering for all the world’s lovers of garlic and his amazing foodscapes. 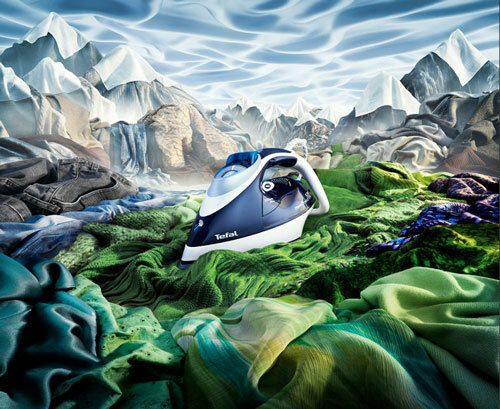 A Winter Clothescape – a clothescape of white everyday household objects and products creating a winter lake and mountain scene. Would you make a sculture out of stem cells?? 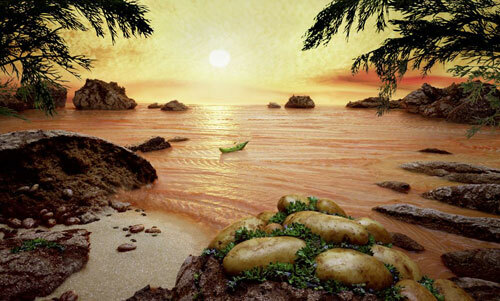 I suppose these are all photo manipulation works where the food are still edible after the shoot. So no worries Bill Gates :) Spend more efforts in making a more stable Windows 7 ya. Wow! Thanks for the great post….